Great food from land and sea in what the Jellyfish Restaurant & Bar at Mapua Wharf is all about. Last year they were selected as finalists in the Hospitality NZ Awards in the 'Excellence in Customer Service' and 'Best Restaurant' categories, and they have been awarded a Trip Advisor Certificate of Excellence. 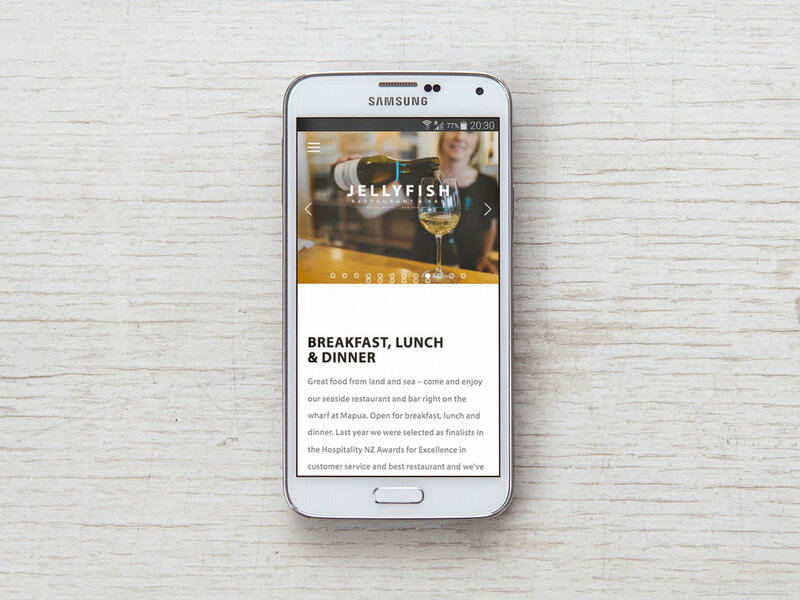 As regular customers of the Jellyfish Restaurant & Bar we were delighted when they asked us to design and build them a new website, utilising its new branding. 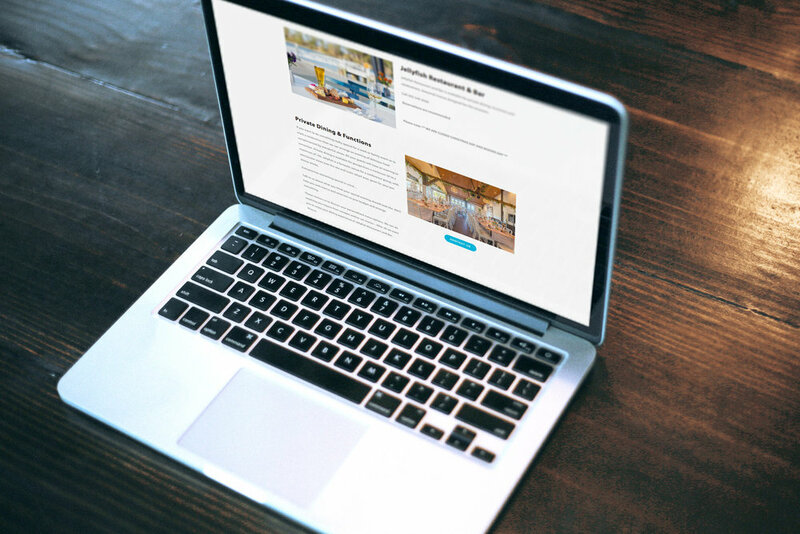 The Squarespace platform has a range of great functionality specific to the catering/entertainment industry, which we applied to this build. The result is an easy to navigate, clean web presence that helps convey the quality of the Jellyfish's service, food and ambiance. It is also very easy to update on a daily basis with specials and as the menu changes.